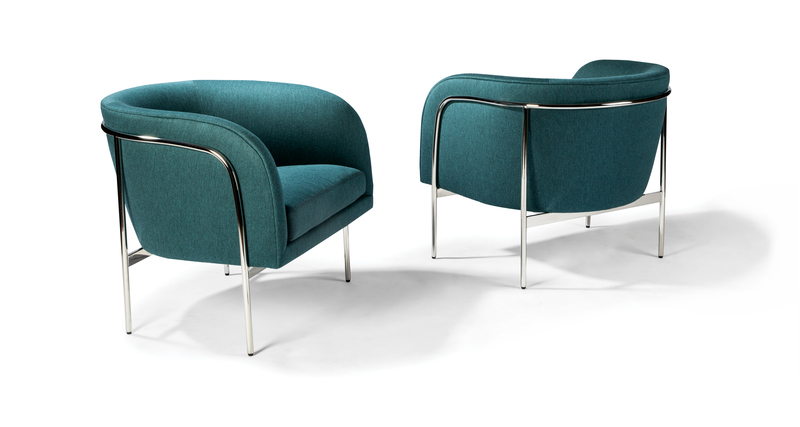 Our Rod lounge chair is a Milo Baughman original. Quintessentially Baughman with it curved, plywood shell interior frame and its flashy yet minimalist metal framework, this stylish and thoughtful chair features slender metal legs in polished stainless steel and a luxurious poly blend down seat cushion. Select from any of our in-house curated fabrics or leathers for upholstery or provide COM. Also available with dark bronze frame as No. 1426-103-DB.